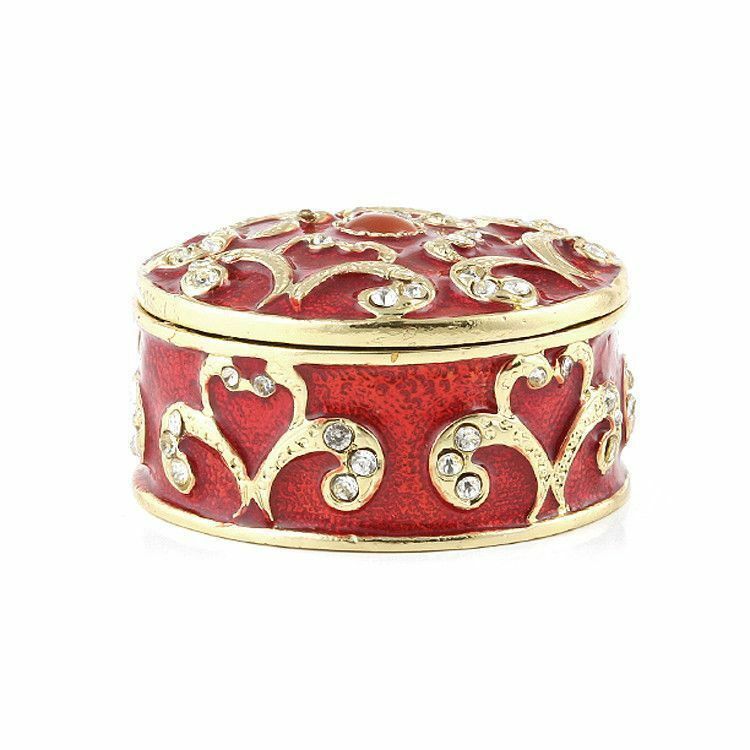 This cute box features a beautiful red hand-enameled extraterior. 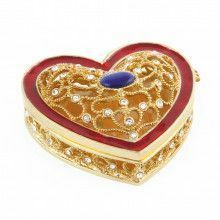 It also features 24-carat gold trim, and a beautiful arrangement of Austrian crystals. 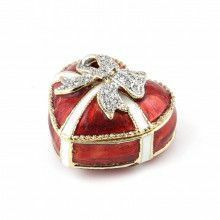 The inside of this box is a pale orange colored enamel. 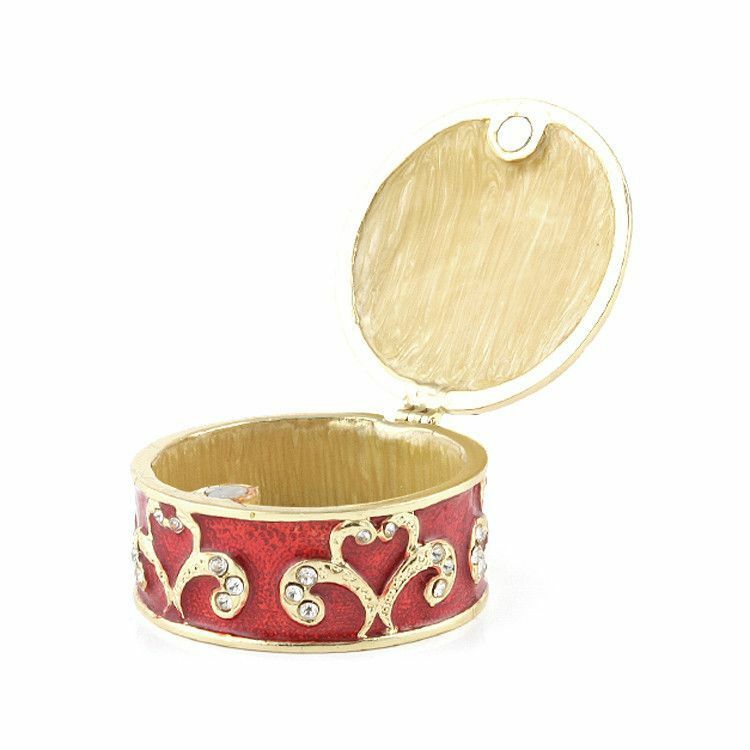 This box opens and closes easily and securely thanks to a powerful magnet clasp. 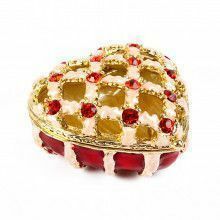 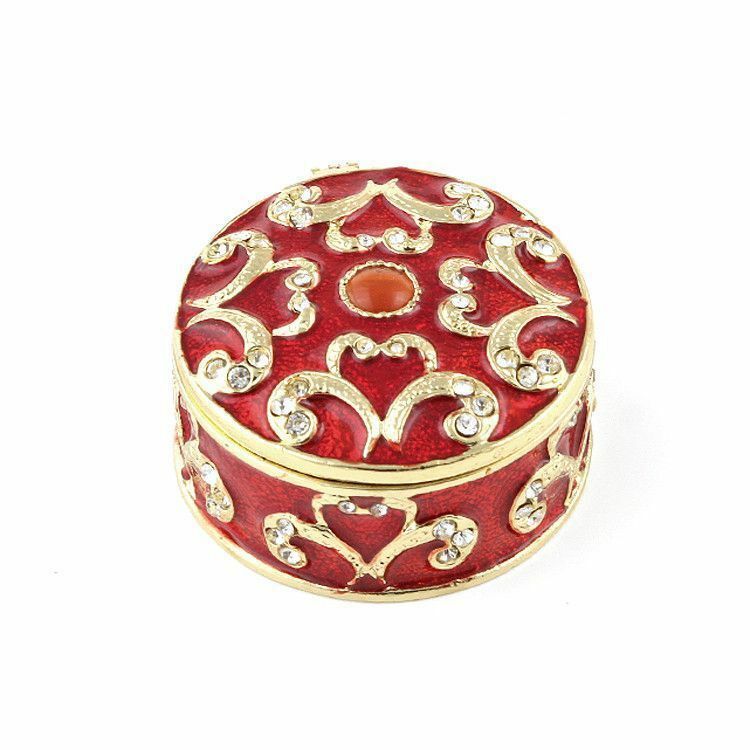 This trinket box is a great way to hold small pieces of jewelry, or any small items you need to keep track of. 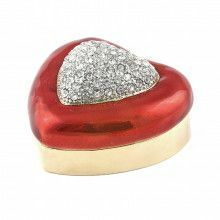 This piece comes in a satin-lined gift box.